It is therefore so frustrating to hear about what progressive propaganda drivel is being taught in class rooms nowadays. It’s not like it JUST happened, I went to college and had professors try to demonize the Founding Fathers and try to overstate the impact of footnote characters in history because they were either black or a woman. Don’t get me wrong, there are powerful and awe inspiring people of color and women throughout America’s history but if we are being honest, Indepence, a new Nation, the Constitution etc was written by rich white land owning men. Deal with it. There is nothing wrong with it. And I love giving a shout out to Crispus Attucks, a black man who was the first casualty of the War for Independence when he stood shoulder to shoulder with other Bostonians (mostly white) during the Boston Massacre. And yes, Harriet Tubman was a brave and inspiring hero of the underground railroad. But does she deserve to be on the $20 bill more than Louis and Clark? If you ever want to see a progressive liberal’s head explode remind them that Jackie Robinson and Martin Luther King Jr were both Republicans. While these men and women deserve acknowledgement and study (MLK the most for his actual impact on History) the twisting of history by progressives would have us think that the Founding of America was done by blood thirsty slave owners whose works must slowly be undone before America can bet he utopia they imagine. Our Founding Fathers weren’t perfect, but they did a pretty good job. This nation was founded on Faith and fortitude, personal liberty and personal responsibility, pride and passion…all things progressives would strike from the narrative of our history. My friend Tami Jackson over at barbwire.com wrote an article about this topic and how one woman, Cynthia Dunbar is fighting to put truth back into history and wrest control from the progressives who wish to finish the brainwashing of academia. Since the days of President Wilson and John Dewey, Progressives (née Socialists) have fought to gain control of America’s gatekeepers — academia, the media, entertainment. This struggle didn’t just begin amidst the turmoil of the 60’s with Timothy Leary’s infamous “Turn on, tune in, drop out” mindset. Certainly there were giant leaps for Progressive minds made in that decade. Democratic President Lyndon B. Johnson’s “Great Society” programs began the wholescale dependence of lower income upon the government. In the span of one decade, Progressives set the stage for subtle, but unrelenting indoctrination of subsequent generations of young people. Conjoined with LBJ’s Great Society agenda, the Left moved the public away from the Founders’ vision of faith and freedom, and toward an ever-increasing government dependency. Now, 50 years later, academia in the United States is mostly controlled by the Progressives who have ushered in new textbooks to reaffirm their worldview. The gatekeepers keep a stranglehold on education materials, only approving those texts which reinforce the revisionist history worldview, a worldview that typically demonizes America, the Founders, the early settlers and pioneers. But there are many in the nation who have not ceded the school room battle to The Left just yet, including Cynthia Dunbar. Cynthia Dunbar is an American patriot of Native-American descent. She is the National Committeewoman to the RNC for VA, author, public speaker, attorney and CEO of Momentum Instruction, LLC. She formerly was an elected member of the Texas State Board of Education, Assistant Professor of Law, Advisor to the Provost of Liberty University, and an appellate attorney. While attending Law School at Regent University Dunbar received three separate American Jurisprudence Awards for excellence, and was a founding editor of the Law Review of Regent University School of Law. She has since conducted over 25 years of research and studies involving Constitutional and common law issues. Cynthia Dunbar is currently awaiting a vote from the Texas State Board of Education, one of the most influential education entities in the nation (if Texas accepts new textbooks the nation will likely follow suit), re a textbook her publishing company, Momentum Instruction, LLC, has submitted, Mexican American Heritage. The Texas State Board of Education (SBOE) initially adopts a “course,” then adopts “standards for the course,” then they issue a “proclamation” sent to publishers with the state bid process for writing texts. 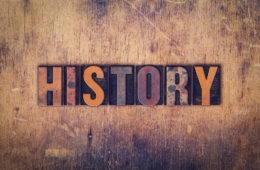 SBOE had NOT adopted a Mexican studies course — a history course — but did adopt a “special topics in social studies and social studies standards course” which would allow for studies which include the history of America and Mexico, their wars and relations. Cynthia submitted Mexican American Heritage (not hyphenated “Mexican-American”), authored by Jaime Riddle and Valarie Angle, in that context and has been met with irascible resistance every step of the way. Google Mexican American Heritage and the search engine will return dozens of articles, all hit pieces savaging the textbook as nothing but racism. But what is the actual truth? What is the truth of America and Mexico, of the battle at the Alamo? All of the alleged errors to which HuffPo alludes are NOT errors, but rather ideological conflicts with what the public wanted included as if the course were a “MAS” course with fully developed Mexican-American Studies Standards. These requirements clearly could not govern since such a course and standards had never been adopted by the SBOE. The supposed errors of the text were not, in fact errors, but rather actual true accounts of the situations and attitudes of the day. In an Alinsky-like flood of articles, sites accused Momentum Instruction, LLC, MI CEO Cynthia Dunbar, and the text Mexican American Heritage of promoting racism and racial stereotypes. What the book actually does with the text is factually recounts racially biased stereotypes that were historically held and used to justify inequality. Just a note to thank you for allowing me to review Mexican American Heritage. I found it interesting, well written and very well sourced. As a proud Mexican-American, I am blessed that my grandparents came to this great country during the Mexican Revolution and am also proud of the many contributions we have since made to our beloved United States of America. The reaction from the left to Ms. Dunbar is the standard operating procedure of the progressives. First, invade academia. Second, rewrite the history books. Third, demonize anyone who disagrees as a bigot, racist and as ignorant. You know you are hitting the mark the more progressives irrationally freak out over what you are doing.